So today is TRH Mulroney’s official first birthday. Yes, if you’ve been following me on Twitter, Facebook, Vine or any other social media outlets, it probably feels as though Mulroney has been apart of our lives for over 12 years. But truth be told it’s only been 10 months (for us) and a full year of life for the wee-man. And while before Mulroney arrived on the scene, I only sort of understood the allure and obsession that Dog owners have for their pets. But after a year with Mulroney, I get it. There really is something special about owning a puppy. Sure neither Caitlin or myself have had a proper sleep for the past ten and the famous poop blitzkrieg of July 2013 was something I will never forget, but all that short term pain negates the long term awesomeness of TRH Mulroney. And while my lovely wife, who has the enormous job of looking after the little guy pretty much on her own nowadays, can probably explain how he test our patience each and every day, it’s really the little moments that make him amazing. … and for all the chaos and joy you’ve brought to us…. … even if you do look like a deranged Chewbacca at the moment. In 2010, while living in Washington D.C., I had the chance to partake in the inaugural edition of DC Week. Sandwiched in between this week long technology and social media festival, was an event called The ProBono Lounge. As you can imagine, the metro D.C. area contains an active plethora of young tech savvy talent and a massive amount of struggling local, national and international Non-Profits (or NGOs or whatever you want to call them). The ProBono Lounge was designed to do dedicate one half day in the middle of the festival to pair up struggling local non-profits and organizations with web designers, web developers and social media experts for a little bit of a free workshop. The idea being that Non-profits and organizations would come into the lounge with their technical problems (usual web site and social media issues) and would then spend some time with a designer, developer or social media expert that would give them some advice with their issues. Sometimes they’d actually work on the issue that afternoon or work on something after meeting during The ProBono Lounge. Of course this was all a free service designed to give the tech community an opportunity to give back to the NPO/NGO community in the city. Now the first rendition of the ProBono lounge was a bit all over the place, but I did manage to spend some hours in the lounge volunteering with a couple local DC NPOs that had signed-up. Out of that afternoon session, I ended up working with a small program called DC Food For All, which eventually turned into a three year working relationship with Bread For The City. As someone new to the city and looking for new projects, The DC ProBono Lounge was an amazing experience. That experience has stuck in my brain for a long time. One of the things I promised myself was that If I was ever back in Calgary for a more formal time I’d try and set-up a similar thing here. Not only does Calgary have an equally talent pool of designers, developers and consultants, but it also has an amazing culture of volunteerism within the city itself. So this is really the perfect sort of thing for city. Well, now I’m back and it’s time to get to work. So over the next few weeks I’m going to putting together some information about the Calgary ProBono Lounge. But I wanted to write a quick blog post to plant the seed for the project. Web designers, web developers, graphic designers and social media consultants that might be interested in volunteering an afternoon or some hours helping out a local NPO or charity. I’ll be looking for local NPOs/Community Organizations that don’t have much money, are doing good work, but need some technical help. I’ll also be looking for a place to hold this. Coffee/Beer sponsors to purchase fuel for the afternoon/day. And of course moral support sponsors. 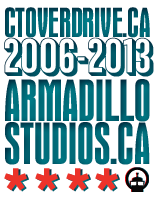 I’m still tossing around the idea, but if you’re interested in helping me out with my little project or even participating, send me an email at cturner@armadillostudios.ca. Earlier this month a group of management students from the University of Calgary students reached out to me to partake in a class assignment. The project was to interview an entrepreneur or someone tied to startup world to get their insight into process of starting a business or new venture. So out conversation, I decided I’d try something different this weekend and flex my design skills by posterfy these “quotes” and sharing them with the internets. Now, anyone who knows me already understands that I’m not really one for motivational posters and Pinterest quote boards, but I figured I’d share them in a visual manner would be a bit more fun. So here we go. For all you entrepreneurs and budding young start-up gurus, here are the three pillars of business that I try and live by. Now, in all honesty this is a direct quote from 37 Signals and software developer guru, Jason Fried. The concept is pretty simple. In any business venture people will make mistakes and we all know that mistakes are the best way to learn. So rather than making those mistakes when there is angel/investment money on the line or a reputation at stake – it’s far better to make mistakes, when you’re small and nobody cares. No business is perfect from day one of operations. 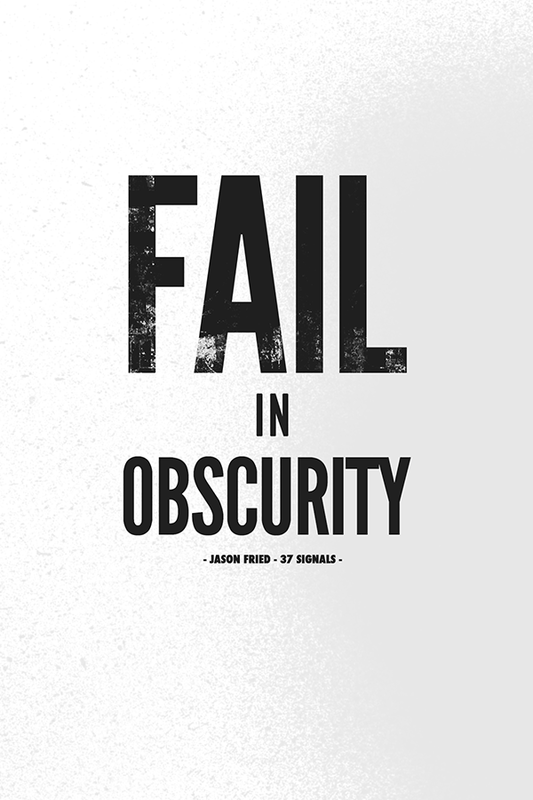 So make your mistakes in obscurity. Fail when there is nothing on the line. Everyone has heard the quote that in business knowledge is power. In the past, there was an outdated interpretation that to succeed in business you needed to secure your knowledge. To not share it and to lock it away in vault of secrecy. Well in the age of the internet and a new society where personal branding is almost as powerful as corporate branding, this concept is pretty ridiculous. See the most successful people in my industry (and others around the world) are the ones who are now openly sharing their own knowledge. In my experience, every time I’ve shared knowledge, whether it’s from a blog post, coffee conversation, presentation or media interview, I have always been rewarded far more than expected. It’s human nature for us to appreciate a hand or helpful advice. We always tend to want to reward or thank others who have helped us out. So by sharing your own expertise or knowledge with someone, they are more than likely to remember to recommend or reward you when another opportunity arise. Let me put it this way. Let’s say someone comes into an auto repair shop with a frantic issue and they have no idea how to fix it. Unknown to them the issues is relatively minor and actually will cost less than ten bucks in parts off the rack and maybe ten minutes of work. As a business owner, you can either charge the client 100 dollars to fix it and try to up-sell them something OR you can tell them the truth and explain how easy of a fix it is. Nine times out of ten the customer would rather you tell them the truth and save them money then pad your own bottom line. Sure you may have just walked away from an easy sell and income, but more than likely that customer will remember that honest and knowledgable advice and recommend you to a whole slew of people. Which in the long run is far more profitable than hundred bucks. While that’s a pretty rudimentary example, it does show you the difference between the old way of thinking and this new paradigm. 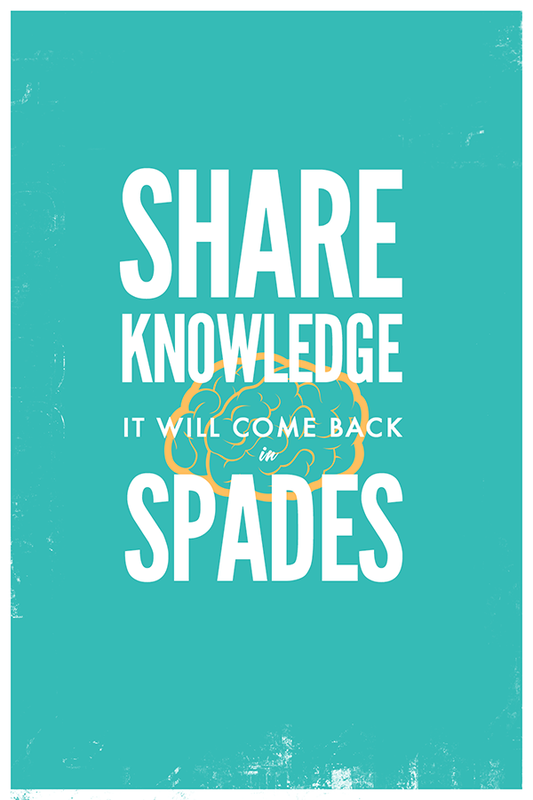 Sharing your knowledge will provide far more rewards than not sharing it. It may not seem like it at first, but in the log run the rewards will be much stronger. So share knowledge. It will come back in spades. I personally struggle with this one, but my biggest advice for people is to never stop reading and learning. When I started Armadillo Studios, I used to digest at least one key business book every two months, which for me is a lot. But even though I don’t have the same appetite form business books that I used to, I do spend a huge percentage of my time learning – whether its through business books, startup blogs, articles or networking events. I always find it fascinating when I come across someone in my industry who doesn’t know who Gary Vanyerchuk is, what 37signals and Basecamp is, where SXSW is held or even what is happening in the local tech industry. When starting a business, knowledge is key. So the more you learn and know, the better off you’ll be in the long run. 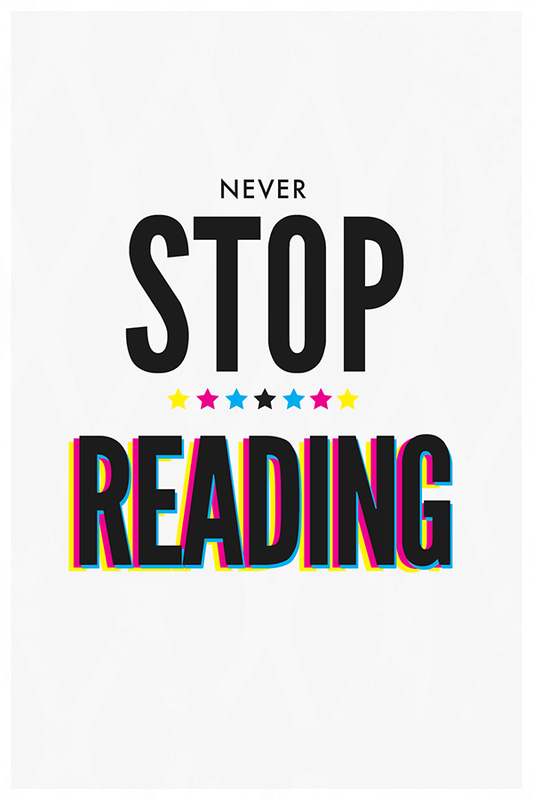 So it goes without saying, but *never stop reading, learning and evolving. There you go. My three mantras to live by in business and for those looking to break into the start-up world. So … about a year ago, I made a incredibly vague New Year’s resolution to finally follow through and live a healthier lifestyle. The idea was to try and work to generally improve myself both physically, mentally and career wise. And now as a honest caveat, I personally stopped making specific resolutions a couple of years ago. To be frank, I’ve always found New Year’s resolutions a great idealistic concept, but far to difficult to maintain (just like everyone else in the world). Stuff like only eating salads instead of fries or running three times a week sounds great, BUT once the trivial nature of life kicks in I’ve always find them difficult to maintain. In addition, as a inherently grouchy Irish/Englishman I have a massive aversion to self help gurus and that form of rational thinking. But last year, I remembered a couple talks/blog posts I had read from Julien Smith on breaking habits. His philosophy is that all humans have habits. Some are important for survival (for example eating at established periods of the day and sleeping four hours a day). While others are bad habits that we’ve learned over time. Julien Smith’s idea is that if you really want to change how you live your life, eat healthier or just doing things differently, you have to turn these goals into positive habits. Smith’s advice is to embrace our instincts to live by habits and patterns and then focus on deconstructing bad habits and establish good ones. His idea being that it’s not about doing something radical and new, but it’s about inserting good habits into your life. So last year, I set about inserting good habits in to my daily routine. One of the tools that Smith mentioned in his various posts was a tool called Lift.do. Lift is one of about 1,000 self-help apps out on the web, but rather than trying to act as your mini work out coach, Lift works to help establish simple daily habits or rituals. 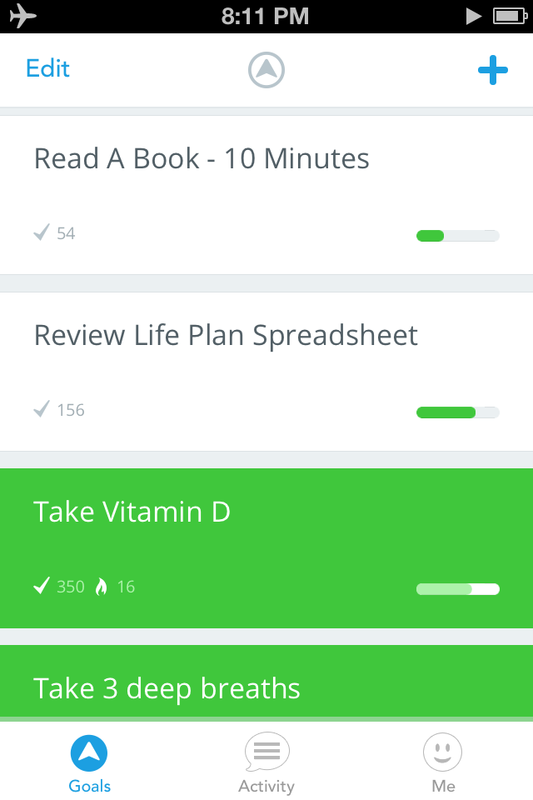 You set-up your lift account with a list of tasks you want to do on a daily basis and then through Lift’s interface you track how frequently you achieve them. Now for me Lift worked because I set some of the most ridiculous easily habits out there. Stuff like Flossing once a day (something I’ve never done), taking Vitamin D (something my doctor told me to do years ago and I’ve never done), drinking a glass of water every day (again something I’ve never done before) and reading a book for ten minutes a day. These don’t sound like impressive targets, but for a perpetual procrastinator like myself and someone who still feels like he’s an invincible 24 year old, these tasks that seem to fall by the wayside. So how was my year of habit forming and Lift.do? Well, if you’re interested of how my year of using Lift was, check out my profile. In 2013, throughout all the turmoil, I was able to make some impressive strides on my goals from last year. Not only was I was able to maintain a daily regiment of taking Vitamin D, Drinking a Glass of Water, Flossing and also Eating Fruit/Drinking Milk, but I was also able to inject some other important routines in my daily life. Activities such as Reading a book for 10 minutes, Writing a Blog Post or even just sending a Non-work related email out to a friend. And while Lift.do was pretty instrumental in reinforcing these habits, the real achievement in this year challenge is that activities such taking Vitamin D, Flossing, Drinking water etc., have all become morning rituals. Activities that I do now as naturally as having my morning cigarette and coffee or checking into Foursquare the second I step foot into a Starbucks (both of which are incredibly horrible habits). So yes, for someone who isn’t really known for being overtly obsessive with my own health and well being – my year with Lift.do and creating good habits was a smashing success. So if you’re looking to improve or follow through on some New Years resolutions, give some of the writings of Julien Smith a whirl and download Lift. I have no guarantee it’ll work for you, but I found great success with both.